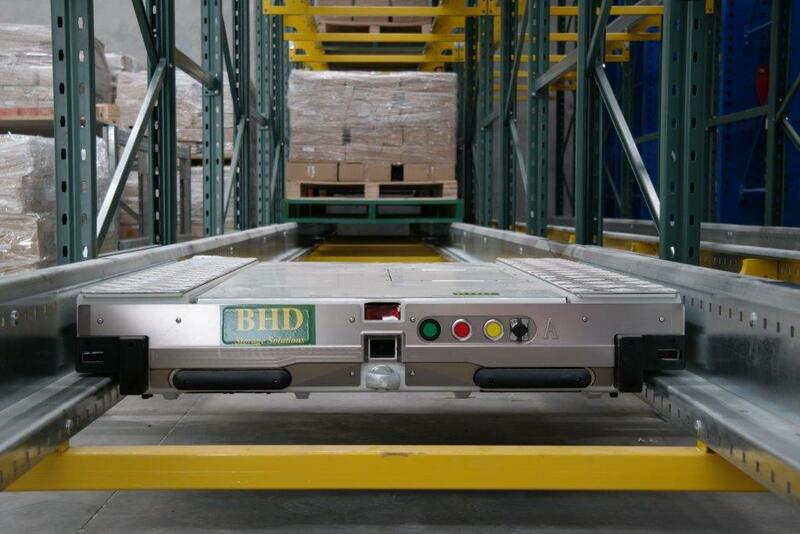 At BHD Storage Solutions, our Shuttle Racking Systems are high-density pallet storage systems that make it easier for Melbourne and Sydney warehouses to load and unload goods thanks to an electric carriage called a Pallet Shuttle Cart. Our shuttle storage system uses shuttle carts to move independently within the rack itself, meaning forklifts are no longer needed to reach inside of storage lanes. This makes the process much simpler, quicker and less costly. The operator performs all of the procedures for the storing and extracting of pallets using a remote control, which minimises their exposure to risky conditions and helps to avoid accidents and injuries. Shuttle racking is a form of pellet racking that uses a self-powered shuttle cart to help load and unload pallets. The shuttle runs on rails in the storage lanes and can be transported to each lane using a standard forklift. 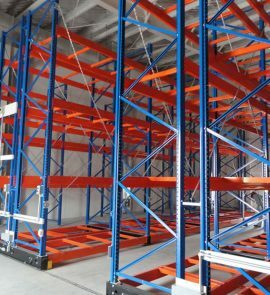 Shuttle racking systems are highly favoured due to their ability to perform loading and unloading tasks without human assistance. 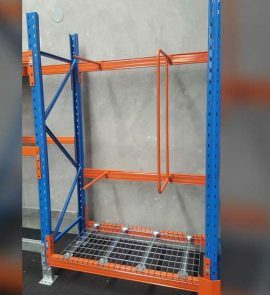 What is Shuttle Pallet Racking Used for? 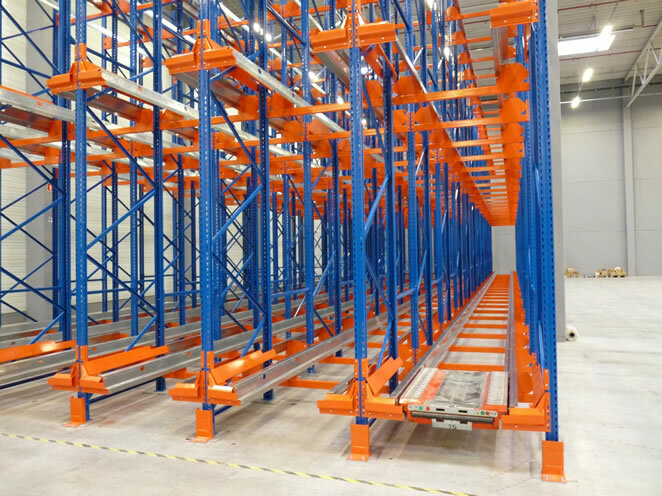 Shuttle racking can be used for many applications, including handling whole pallets, FIFO and LIFO storage, cold stores, and warehouses where human intervention is limited. These systems are suitable for both small and large warehouses due to the fact that more shuttles can be added into an existing system as your operations grow. Shuttle racking is also one of the most useful automated storage solutions for warehouses needing the highest amount of storage density. How Much Does a Shuttle Storage System Cost? 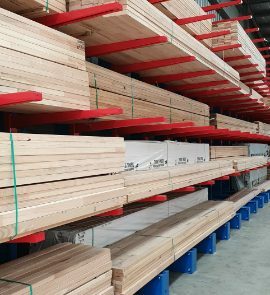 The cost of shuttle pallet racking differs depending on what type of system is required and how big it needs to be. The number of needed shuttle carts can also affect cost. For an estimate of the price of a shuttle storage system, speak to the team at BHD Storage Solutions today. Shuttle racking comes with a wide range of advantages across safety, usage of space, and cost and time efficiency, making it an ideal choice when a storage solution is required. 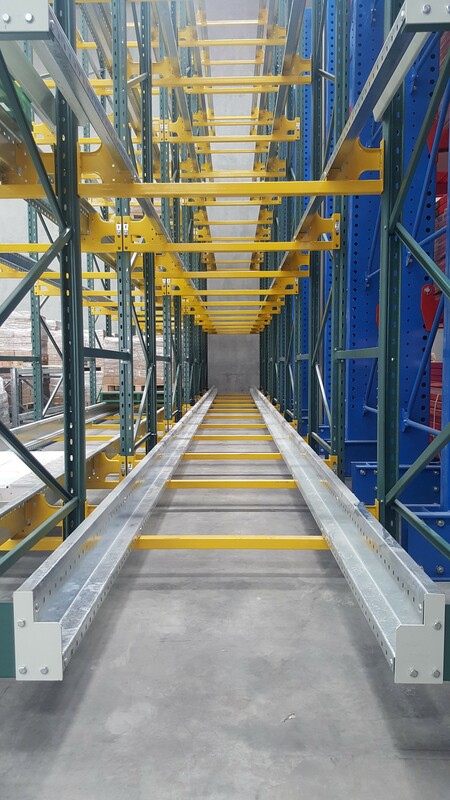 Perimeter protection is installed to ensure limited human access to the racking area, except for authorised maintenance personnel. 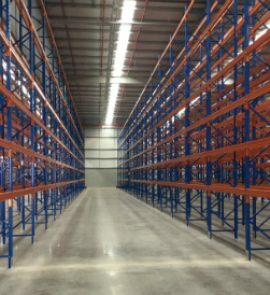 The BHD Shuttle Racking System in Australia requires minimal clearance between levels and pallets, which allows for high-density storage. Travelling speed of the shuttle cart can reach up to 65m/min when empty, or 50m/min when loaded. Shuttle cart and forklift can work simultaneously to reduce cycle time to load or unload pallets. 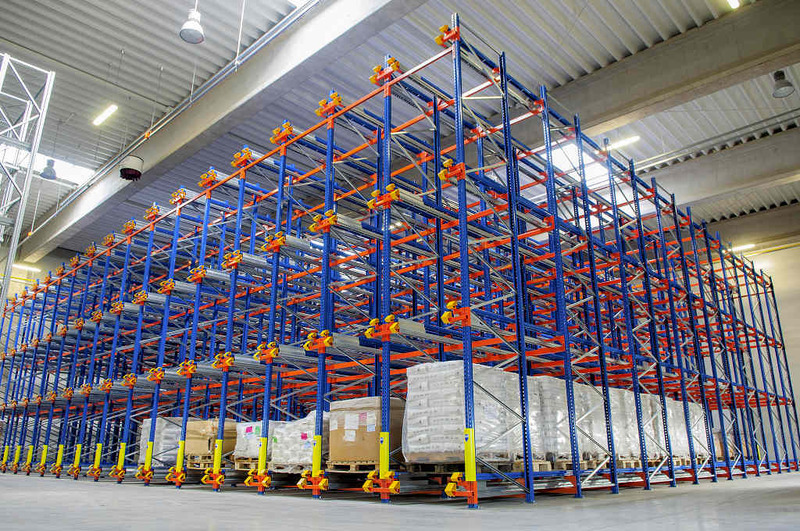 Optimum space utilisation can reduce warehouse area, and consequently reduce land costs. For cold storage, energy consumption can be significantly reduced. 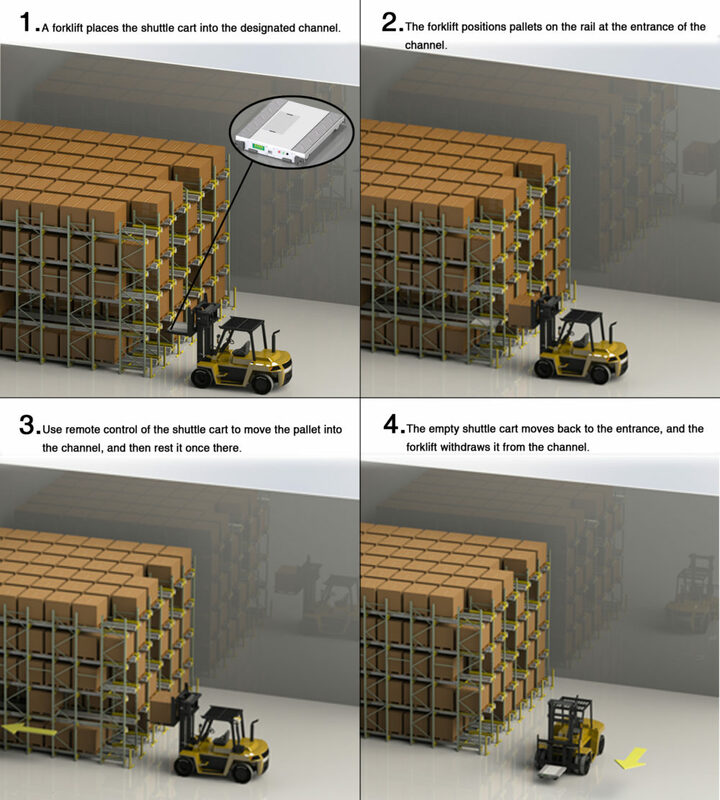 Its automated system reduces the number of personnel required for material handling. Reduces the cost of maintenance and use of forklifts. Contact us today to learn more about our shuttle pallet racking and automated storage solutions in Australia.